Personalize an immersive experience – Most high-performing individuals can afford to take a great trip, so you have to take everything to the next level. That means delivering a “once-in-a-lifetime,” immersive experience that participants can’t create themselves. Personalize it with concierge-style services, beginning with a warm “welcome” by the hospitality team and extending to exclusive, behind-the-scenes tours of local landmarks. Create a sense of exclusivity – Participants need to be celebrated as members of an exclusive group. Reinforce that by going to a “wish list” destination, renting out an entire hotel, and reserving snorkeling boats or wine-tasting excursions just for your group. Promote your brand – Build pride and loyalty with branded reminders the honorees work for a company that values their “above and beyond” accomplishments. Look for creative places to emblazon the company’s logo. That can include banners, event packets, wall projections, dessert toppings, gifts, and even the bottom of the hotel swimming pool or side of a chartered plane. Communicate actively – Sharing the experience starts with how winners are recognized and information about their upcoming trip is communicated. 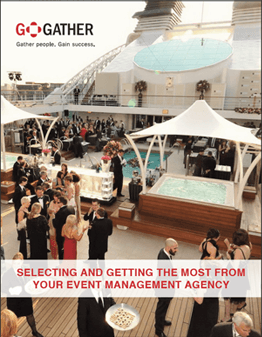 Consider creating a “Winner’s Directory” that lists who’s going and why. Send out teaser emails that describe what they’ll experience. Once the trip starts, provide daily updates about what’s happening. Take plenty of photos and videos, too. You’ll be helping participants share their amazing adventure with family, friends and co-workers. Engage leaders – When people are outside the day-to-day work environment, it’s often easier for them to interact with senior leaders. They can be more forthright. Best practice ideas can be discussed informally without office bureaucracy getting in the way. Relationships can be formed. So make sure the agenda includes daily networking breakfasts and evening socials for these top performers to interact with the top brass. Make details memorable – Making a trip special comes down to all the details you carefully weave into the activities and touch points. Create special event drinks or desserts each night. Bring in a locally renowned dancer to give salsa lessons. Provide handwritten notes and daily, in-room gifts that capture the essence of each locale, such as hand-crafted gift baskets and artisan food items. When you incorporate these six elements into incentive trips, you’ll make the most of a winning formula for recognizing top performers. And employees will know you’re in sync with what’s important to them. In the U.S., they really prefer being rewarded with travel and non-cash awards for achieving “above and beyond” performance, as a recent Incentive Research Foundation study confirmed. You’ll also be in good company because all “Best in Class” companies (highest year-over-year sales gains and customer retention levels) used travel to reward and recognize year-end sales successes, as an Aberdeen Group study found out. Today about 80-85 percent of the costs for an incentive trip come from the flight and hotel. The last 10-15 percent supports the exclusive, shared experiences – and that’s what makes all the difference in the eyes of your participants.